Present: Joe Farleigh, Phil Zorda, Jean Stone, Dave Cowan, Ed Hinkley, Nicole Franzese, of Delaware County Planning Board, Jill Ribich, secretary/alternate. Present: Joe Farleigh, Phil Zorda, Jean Stone, Dave Cowan, Rob Cole, Molly Oliver, of Delaware County Planning Board, Ed Hinkley as potential new planning board member. Jill Ribich, secretary/alternate. SAID HEARINGS will be held on May 20, 2015 at the Roxbury Town Hall, 53690 St. Hwy. 30, Roxbury, NY at 7:30 pm, at which time all interested persons will have the opportunity to be heard. Present: Joe Farleigh, Phil Zorda, Jean Stone, Dave Cowan, Jill Ribich, alternate, and Molly Oliver of Delaware County Planning Dept. Also Present: Rob Allison, Project Manager and Surveyor for the Roxbury at Stratton Falls, Allyson Phillips of Young-Summer, Atty. 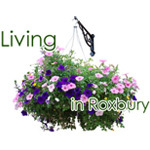 representing the town of Roxbury.